‘Made By the Sea’ is right, but not the only distillery on Skye anymore now that Torabhaig is up and running, and since the newcomer has thrown down the gauntlet by distilling a decidedly competitive ‘islands style’ malt, we are eager to see some action… in 10 years time that is. The suspense is killing me. Nose: Wow. A great story unfolding despite the strength and subtlety. All black earthy with deep-oily-brooding peat phenols without the overt smoke, only old peat has this kind of ‘bass’ complexity without the brashness of high PPM, it’s all pitch and coal and crude oil and hundred year old mulch, in other words a perfect profile. Find also a maritime breeze that speaks of muddy piers and sea-soaked raincoats. Old resins, and a worn down lump of beeswax, chunks of coal, soot and shoe polish at the bottom of a basement drawer. It is very subtle and easily missed though. Palate: Unfortunately the abv finally shows, with a somewhat thin body that’s watered like a cold tea infusion. But all is not lost, great little notes of medicinal tincture, some camphorous bark shavings. Lots of fleeting notes: Swedish bitters, tar, jujubes, licks of black smoke, and now the salt and sea air come back towards the finish. Why can’t today’s Talisker be as phenolic. Finish: Medium long, black smoke, salt, medicinal bark, touch of salt. Great Talisker in the old style. I think Robert Louis Stevenson knew his drink. Nose: So next to the Distiller’s Agency it’s lost a lot of the deep broody phenolics, nonetheless it’s still full of ever slightly medicinal oils, and clean fresh earth notes of turned compost. Molten wax, snubbed candles, WD40, muscle rubs and sea air, and a muddy shore at lowtide at cockle season. Palate: Firmer than the older cousin, but still replete with these faintly medicinal rubbing oil notes, soot and hot wax, and bit of old camphor again. Ancient jujubes from a rusty tin. Rock salt. Developing into drops of thin honey and chamomile. Again a very old style kind of malt. Finish: Medium, does peter out a bit, some salt and medicinal rubs. 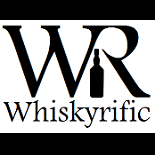 This entry was posted on August 16, 2018 by Whiskyrific in Talisker and tagged Talisker.